Travel to Plymouth in style! 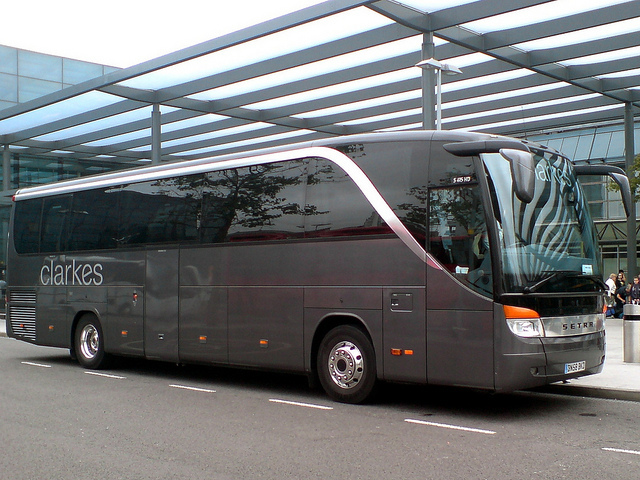 A quite exceptional coach, this is actually the same model as that used by our team -although with a different internal configuration. Leather reclining seats, twin dvd screens, complimentary refreshments- both beautiful and comfortable. So if you’ve already booked for Plymouth, you’re in luck, and if you haven’t- what are you waiting for?! We have a handful of seats left! Fares are £20 members (£25 non members), and we are scheduled to leave the Broadfield Stadium at 7AM- it is rather a long way! Call Travel Ken on 07843124845 or call into CTFC Reception at the Broadfield during office hours to book. Not coming now then? Shame, just bought muffins for breakfast!